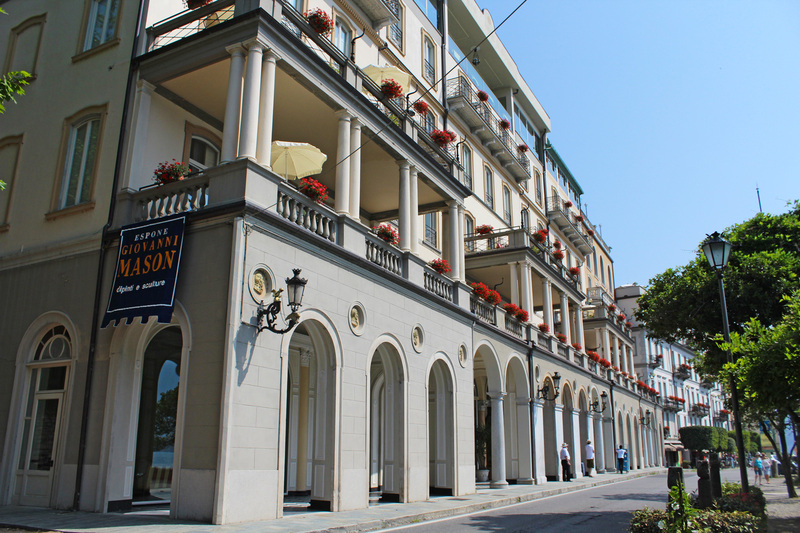 Grand Hotel Cadenabbia is a wonderful hotel dating back to 1820 overlooking Lake Como, situated directly on its front facing Bellagio and adjacent to Villa Carlotta, in one of the most enchanting areas of the lake. This romantic hotel was at one time a private villa and has long welcomed the rich and famous, including Queen Victoria. 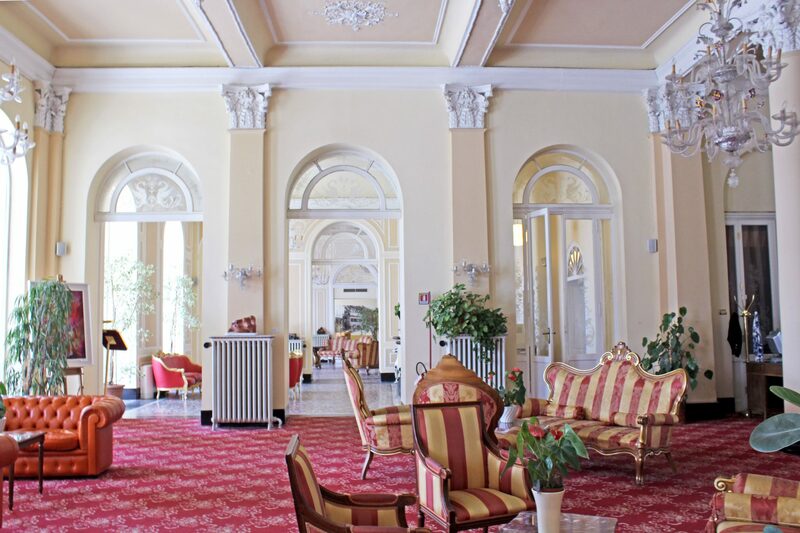 It was totally refurbished in 2007 by the new management, but it retains much of its original charm, with its ancient stucco-work, mirrors, frescos and majestic columns. All dining venues here come with a view as standard. The main restaurant Le Serre, where the daily buffet breakfast is served, has large picture windows, while the fine dining establishment Al Chiaro di Luna is open for romantic evening meals. 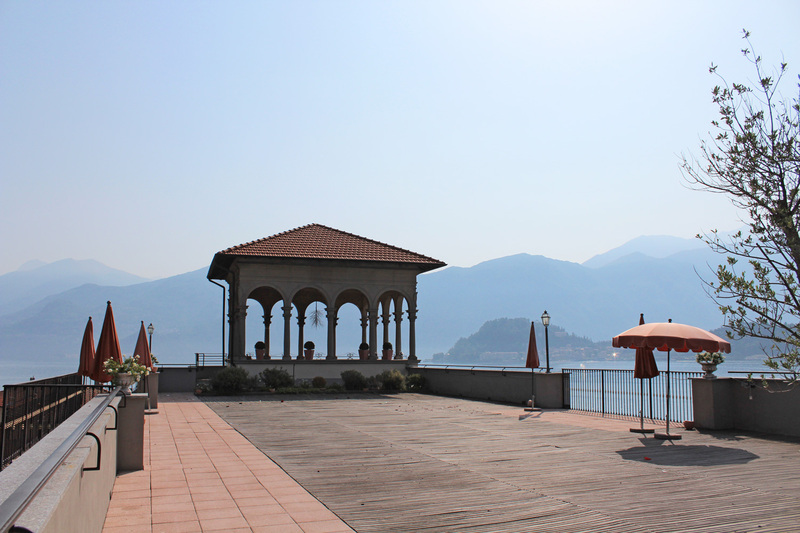 The panoramic bar on the 4th floor has a large open air terrace, where you may enjoy a quiet drink, snack or scenic lunch, with a wide view of the lake and of the mountains behind the hotel. 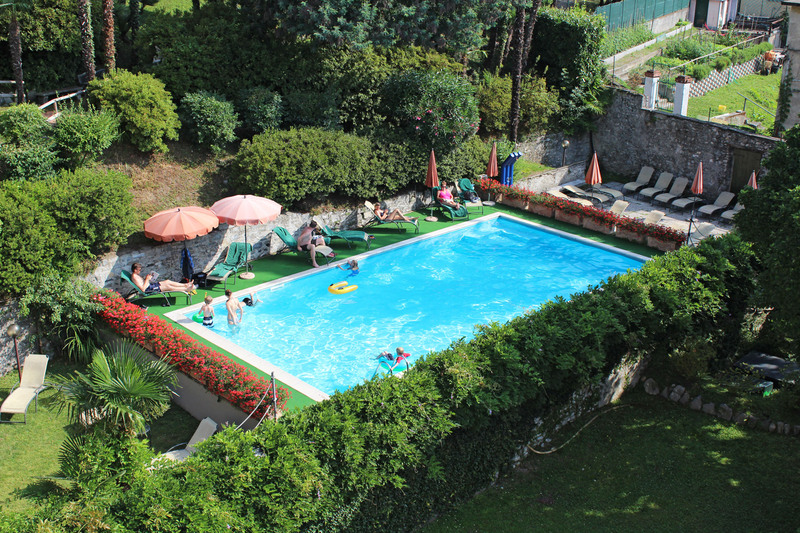 Other facilities include a gorgeous swimming pool with large solarium and extensive gardens. The 188 rooms are classic and elegant in style: you can choose from a simple Standard Room overlooking the hotel’s gardens, a Lakeview Room, from which you can enjoy waking up to views of the water, or a highly recommended Lakeview Balcony Room with a small balcony or terrace. The balcony was indeed the highlight of my room, with a full view of the lake below. I could not possibly praise this hotel more highly, I truly loved my stay. 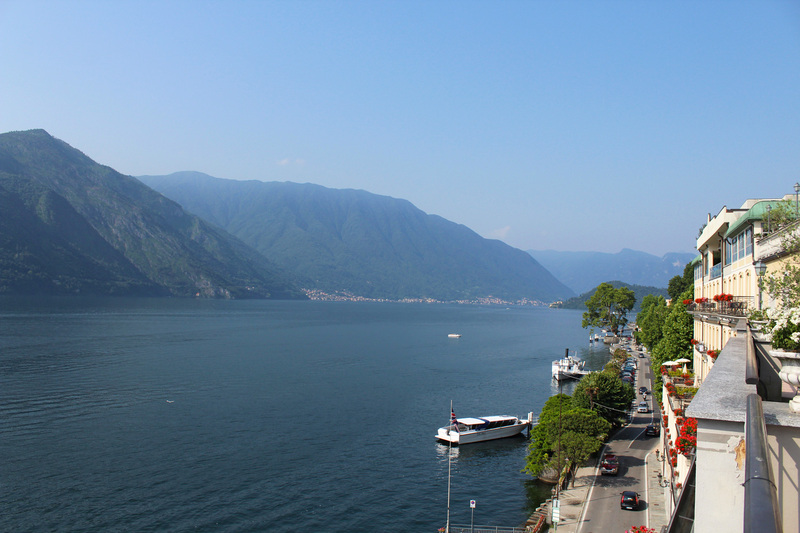 I would highly recommend this hotel for visitors to Lake Como, especially if you’re celebrating a special occasion. Those evening sunsets are incredibly romantic and the location is undeniably one of the best in the area.